This is a real gardeners’ delight as chervil grows well, but doesn’t travel well, so its best cooked soon after picking. 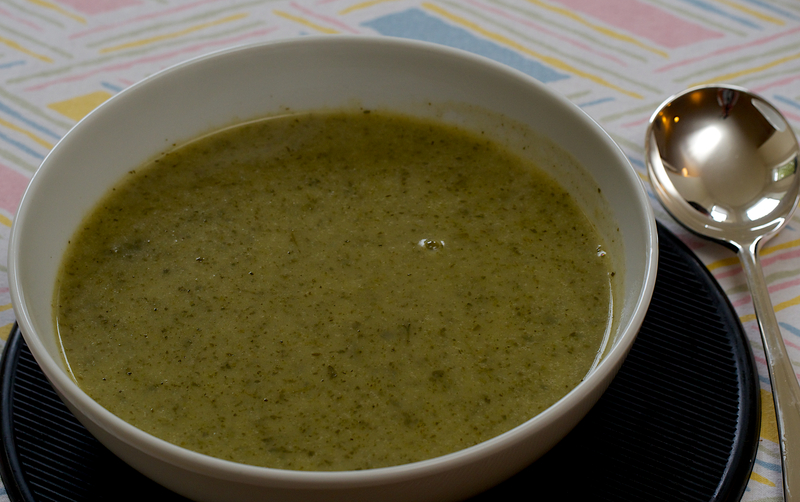 We love the hint of aniseed it brings to the flavours and have to thank Rai and Linda for their allotment which allowed us to make this soup! Melt the butter and soften the onion without browning. Stir in the herbs, a generous pinch of salt and some pepper, cover and sweat for a few minutes. Add the potato and 275ml of the boiling stock. Cover and simmer for 5 minutes, then add the rest of the liquid. Continue to simmer until the potato is soft enough for you to mash into the soup. Taste for seasoning and serve.